Every young boy, and some girls too has always dreamed of being a racing driver and now that dream can be a reality at our very own Kirkistown Race Circuit in the Ards Peninsula. Race School Ireland offer a multitude of different courses and events throughout the year to get you behind the wheel of a racing car. 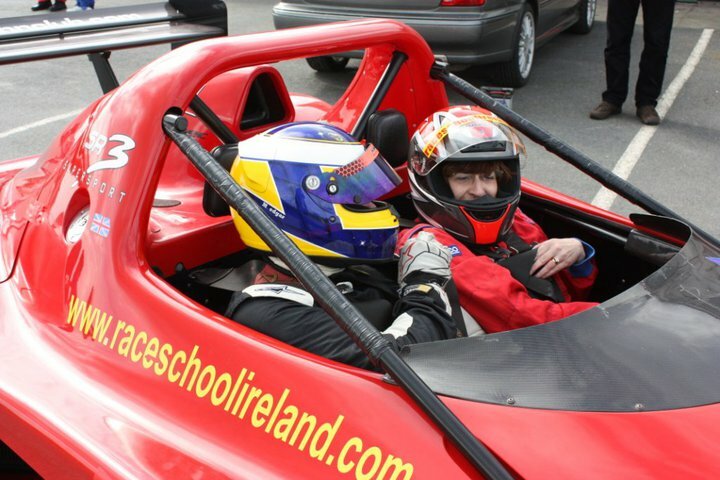 Packages start from just £65 for an amazing ride in a Radical Single Seater racing car, a thrilling race around the track with Race School Ireland’s professional instructor. For those wishing to take the wheel themselves they can climb into the cockpit of a Formula Ford single seater racing car for only £149. The School provides full instruction with you first being taken around the course in a saloon car to be shown the track, then its back to the pits for a quick briefing before getting behind the wheel of the saloon car to be assessed by the instructor. Soon it’ll be your turn in a Formula Ford to feel the exhilaration of racing for yourself. In the past the race school has coached professional drivers including Eddie Irvine, Neville Anderson, Rory Farrell and Jamie Patterson. We’ve recently built a brand new interactive website for the Race School to allow seemless integration of their social media platforms, our content management system allows the race school to update the site on a day to day basis with special offers, news stories, links and photographs. Ardnet Online Solutions provide Web Design in Belfast and Social Media Consultancy.